Having had the opportunity to host Changemaker Chats across the globe over the last four years, we’ve learned a lot about how incredible women discovered their paths and forged ahead. Though every Changemaker Chat is unique, we’ve noticed that great minds do think alike: almost every speaker has touched on the importance of finding communities that bring you motivation, inspiration and enable you to thrive. We never set out to start an organization. We were looking for guidance from women before us, but what we found was a community among us and an ever-growing tribe of women who are committed to advancing and supporting one another in pursuit of a better and more just world. And so, it is with great enthusiasm that we announce that our community just got a little bit bigger. We are beyond excited to welcome MM.LaFleur as our national sponsor in the United States. It’s not often that we come across a brand that truly echoes our Changemaker values, so when we do, we want to shout it from the rooftops. MM.LaFleur has stolen our hearts with their commitment to making the working woman feel confident and powerful. And did we say beautiful? That too. Started by three women who understood the pressures of finding appropriate and stylish workwear, MM.LaFleur is a womenswear and styling company on a mission to take the work out of dressing for work. The company is also a great source of tips and inspiration. Their digital magazine, The M Dash, features thoughtful pieces on what it means to be a professional woman today, and profiles from some of our favorite women, like Changemaker Alumna Sallie Krawcheck. They even decided to do a profile on us and the Changemaker Chats story (here). Over the next few months, you’ll notice some MM.LaFleur co-branding and swag at our Chats. 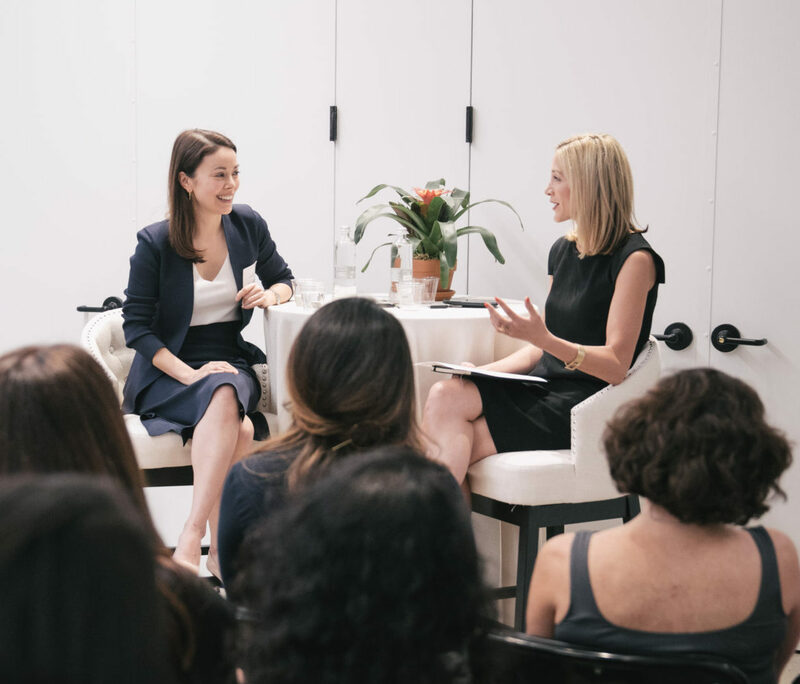 We hope you have the chance to get to know them a little better (you can sign up for The M Dash here), like the lucky few in New York who were able to join us with their CEO Sarah LaFleur and help us celebrate our growing community of women.